I’m so excited to share with you all the relaunched Pampers Rewards Program with a brand spankin’ new App! If you haven’t yet downloaded it do that right now, you will even get a welcome gift of 100 points! The app is available on both Android and iPhone devices. While it is downloading,continue reading as I am going to walk you through all the features on the app. Pampers diapers have been my jam since 2002 when I gave birth to my first daughter Abby. It’s no surprised that I returned to Pampers when Hailee was born, and again when Bella completed our family. When the girls graduated from diapers we moved on to Pampers Easy Ups. They kept them protected in the beginning stages of potty training as well as at night. I have also been a Pampers Rewards member since it’s launch about 10 years ago! 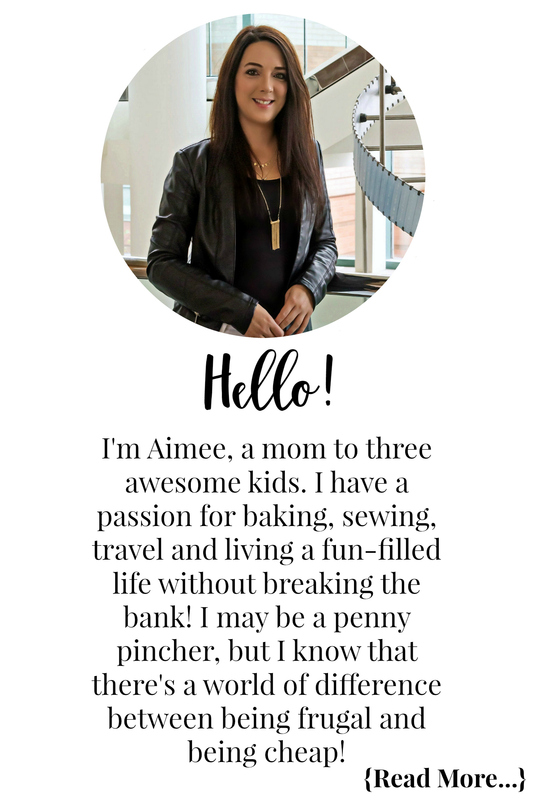 If there is one thing this mom likes, it is being rewarded for purchasing products we need, use, and would have bought regardless. Over the past 10 years I have redeemed countless rewards. Everything from photo books to toys for the kids, and even some gift cards for myself! Pampers Rewards is a loyalty program available in Canada and the US and has been around for 10 years. 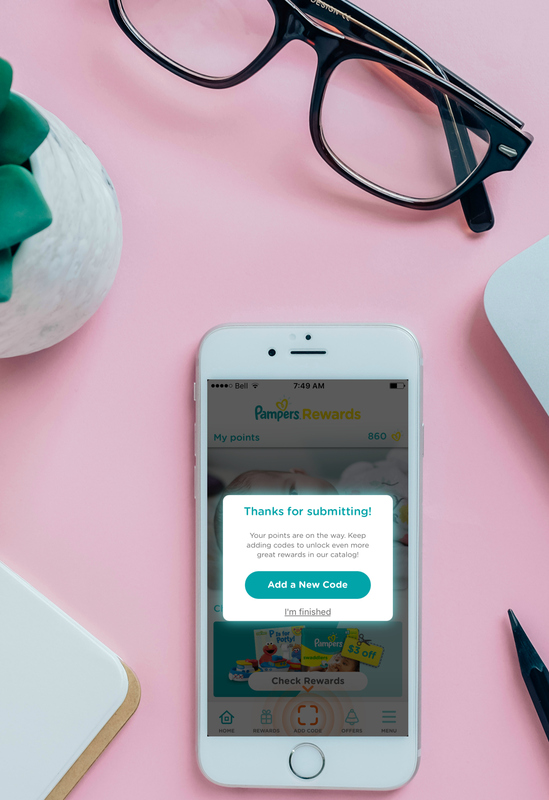 Parents buying Pampers diapers, wipes, and Easy Ups could register online and collect points using the codes on the packaging to redeem for rewards. Turning diapers into rewards is now easier than ever with this amazing new #momhack from Pampers. Pampers has just relaunched their Pampers Rewards program in Canada with a new app. The codes will still be found on your favourite Pampers products, but now you don’t have to spend hours keying in all those codes. The new Pampers Rewards App allows you to simply scan the code and it will record your points. Pampers has also revamped their rewards catalog with amazing new swag to redeem your points on. If you are already a Pampers Rewards member no worries, your points will follow you to the new App. All you have to do is download the new App here, login with your email and password, and all of your points, plus the 100 welcome points, will be in your account! I am going to walk you through the new Pampers Rewards App, showing you all the features and just how easy the new App is to use. First things first you will need to download the Pampers Rewards App on either your Android or iPhone device. Just for downloading the new App, joining OR signing into your existing account, you will be rewarded with a welcome gift of 100 points! Be sure to allow for notifications from the App. They will let you know when your redemptions are on the way, when there are special bonus points on products, and more. At the top of your screen you will see your point balance. Once logged in and through the welcome screens, you will be prompted to add your first code in the App. I can’t tell you how happy I am about the scanning feature for the codes. I personally would accumulate piles of codes and spend far too much time typing them all in with the old program! Scanning is super easy, you just hold your phone over your code, ensure it is in the code scanning area, and tap the circle with orange square to capture the code. Once you capture the code you will be brought to a screen to review your code. If everything looks right hit submit code to get your points, if not you can edit the code before submitting. You will instantly see an APPROVED screen if your code is valid letting you know your submission has gone through. 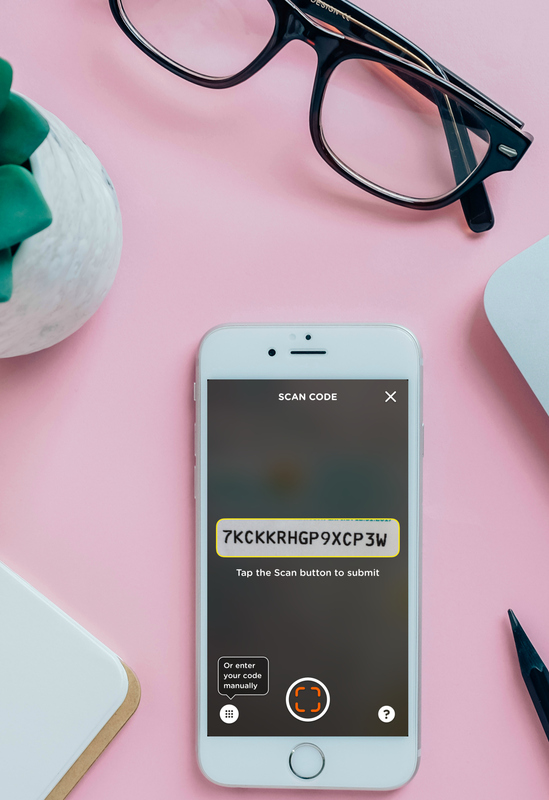 The approved screen will disappear after a few seconds, the next screen will thank you for submitting your code and prompt you to enter another or tap on I’m finished. You main home screen will look like this. From the home screen you can see your points balance, venture off to check out the rewards, see any offers available, or head to the menu tab. The menu tab has a few more options to dive deeper into your account. 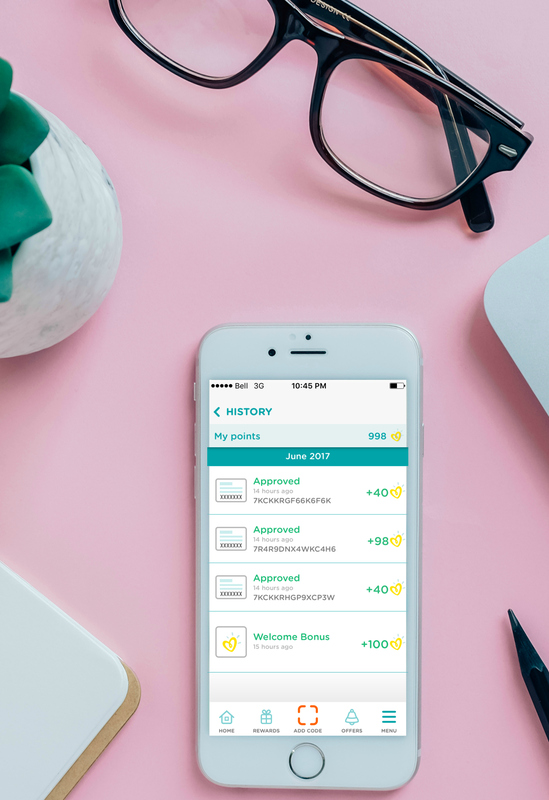 You can check your point history and see a list of all submitted codes, read the FAQ’s, check your profile, contact Pampers, and log out of the App. The history area shows you all of your submitted codes. Please note, any codes submitted prior to downloading the app will not show in your history. To see those you can simply log on to your Pampers Rewards account online! With the new Pampers Rewards App comes a pumped up rewards catalog. Collect your points and redeem for great gifts, sweepstakes, and rewards for you and your whole family! For only 30 points you can be entered to win a year’s worth of free diapers and wipes! Each month, one lucky winner will win 71 coupons for free diapers and 71 coupons for wipes. Expecting? Redeem 400 points for a set of baby bump milestone cards to capture your pregnancy bump progress. Or maybe you just had a new baby and had beautiful photos taken? Redeem 500 of your points and get a free 11×14 photo print from Shutterfly! If you love coupons you can redeem 500 points for a $3.00 off coupon, or 700 points for a $5.00 off coupon. Redeem 1000 points and celebrate your baby’s 1st birthday in style with 10 5×7 Shutterfly cards. Pampers Rewards even offers books! When it is time to potty train your little one redeem 1400 points for the Sesame Street P is for Potty book. Educational toys like the Melissa & Doug Alphabet Puzzle are available for redemption too. Have kids aged 2-6? You can redeem 1700 points for a 6-month subscription to Highlights High Five Magazine. 2300 points will get you the adorable Melissa & Doug Happy Giddy Bowling Set. If you are very disciplined, 6000 points can get you a free red PlasmaCar! How long have you been a Pampers Rewards Member, did you download the new App? Let me know in the comment section below! Start turning those diapers into rewards, download the Pampers Rewards App here and visit the Pampers Rewards page for more information! 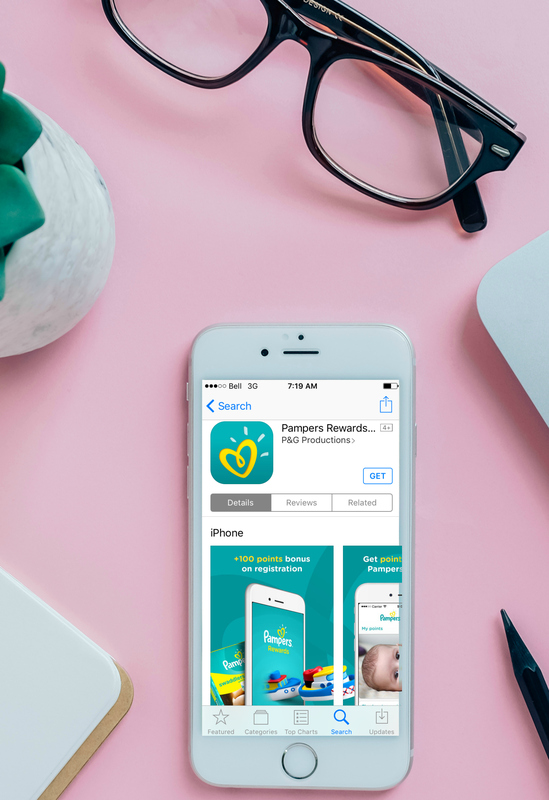 Stay up-to-date with all things Pampers Canada, follow them on Facebook, Twitter, Pinterest, and YouTube! Disclosure: Thank you Pampers for sponsoring this post. Although this post has been sponsored by Pampers, the opinions and language are all my own, and in no way do they reflect Pampers. Any product claim, statistic, quote or other representation about a product or service should be verified with the manufacturer, company, provider or party in question. I love rewards programs. I love any program that rewards you for buying a specific brand! I love how this app makes it so easy to save the points. I don’t have a need for diapers anymore but this would have been awesome to have when I did! Diapers are so expensive. Keeping this in mind for grandchildren though for sure. I wish Pampers will extend this app to the customers here in the Philippines. Mothers will enjoy it more. So sad that this Pampers reward app isn’t available in our country. Though it’s too late now that my youngest doesn’t use diaper anymore. Going to have to check this out, I have 1 in diapers still. Like how easy to use it is! I think Pampers Philippines offered something like this years ago, more than 5 years ago I think. I hope they will create an app for Pampers rewards which is available in our country. I loved Pampers and the rewards program when my son was a baby. My younger 2 kids are exactly 18 months apart, so I spent years buying Pampers. Wish I had known about this convenient rewards app sooner. I could have really racked up some points lol. I didn’t know Pampers had this app! One of my cousins just had a baby, so I am definitely going to let her know about it! Oh I need to check this app out. My little is just 2 months old and the diaper count is through the roof hehe. This app sounds great! I’m not in the need for pampers right now but I know a few people who are!